I cannot tell you how excited I am to announce that it's finally my turn. You may recall a few weeks ago I blogged about the ReStore ReNew series I was participating in with my fellow ReStore Bloggers. Well, it's my turn! 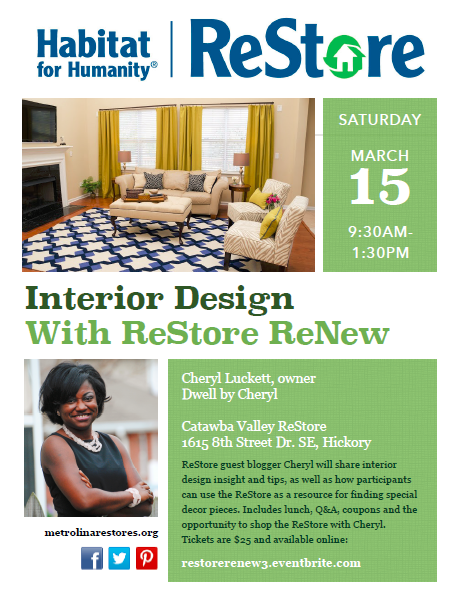 I think the most exciting part is that this event is taking place at my FAVORITE Habitat ReStore, the Catawba Valley ReStore in Hickory NC. 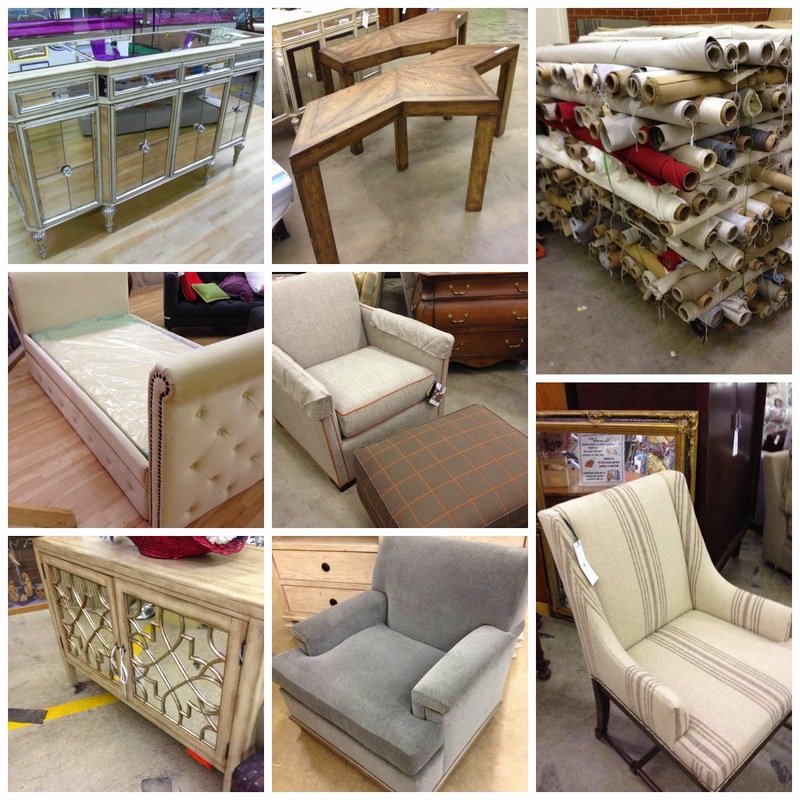 When I say that this place has an awesome selection of new and gently used furnishings, fabric and accesories, believe me. It's pretty amazing. Look at some of these beauties from their Facebook page. Amazing right? I also love that they often run weekend promotions where the entire store is 25-50% off! Sorry, back to the event. 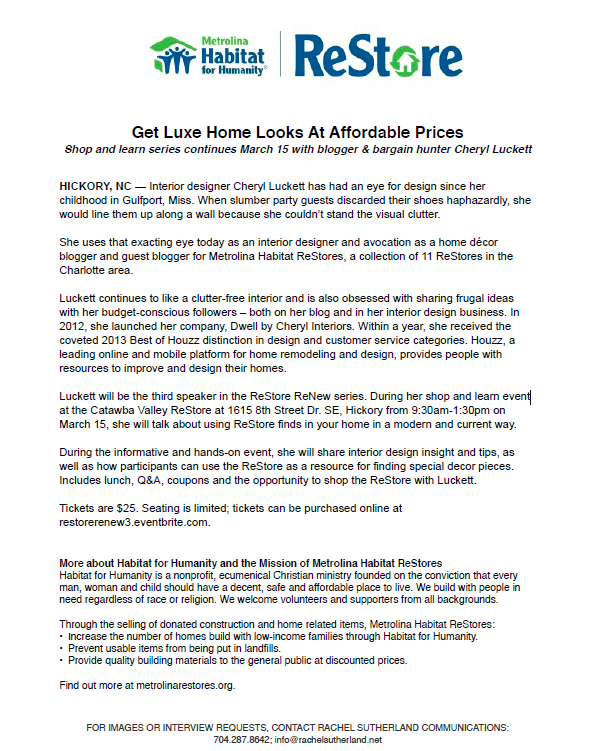 As I mentioned in my previous post, the Habitat ReStore ReNew series puts each of the Metrolina ReStores bloggers as the headliner in a 1/2 day workshop in a local ReStore. The events allow our followers a chance to participate in a special event; one that celebrates our passions for all things vintage, organizing and interior design. While I haven't yet worked out the details, my seminar will likely focus on how to find the "good stuff" at the Habitat ReStore. I know that so many of my blog and social media followers always comment on the great deals I score while thrifting. I don't think there's any magic to it, I just think it requires a little training. If you live in this area, you've got a little over a month to plan, but trust me, you don't want to miss this event. Space is limited and tickets are officially on sale and selling already. You can get the details and purchase tickets HERE.